Phronk.com: Throw Away. Do Not Eat. I recently bought Guitar Hero 3 for the 3rd time (the first two had defective guitars...this one seems fine so far). 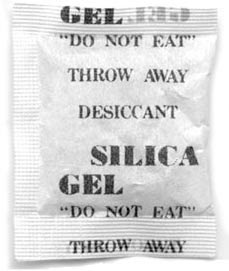 But in addition to a sweet plastic guitar, the box comes with several of these little packets of silica gel, with the stern command on them to throw them away, and not eat them. I figure that any object that's clearly not food, yet has a warning to not eat it on every package, must have a juicy story behind it. Some kid who ate a whole package and ended up with a burst stomach or something. What a disappointment. No burst stomachs, no weird rashes, no murder-by-silica-gel (#42). Just a resounding "it's not a good idea to eat it, but it won't kill you." Oh well, at least you learned something. * Maybe he should become friends with this guy, who has a full fan site devoted to silica gel (and judging by the site, is a time traveler from 1995). i personally believe you should decide for yourself, in other words, try it. Weird, I thought the same way you did, except I was too lazy to research it, even with the easy access to the magical interweb... Thanks to your report, I do know more. haha. cute and geeky, just how I like em. Not sure if the well designed "1995" site had this particular information - too hard to read - but here is a little tidbit of trivia about silica gel. The silica will change colors when fully moisturized. That's how you can tell if your product / electronics / optics have been compromised. 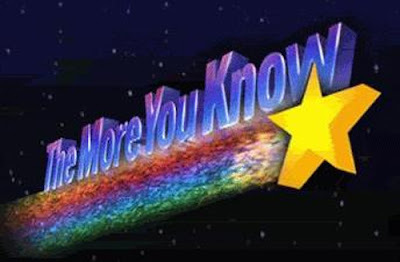 However, if you stick the silica gel in the microwave and run it for about 10 seconds, it'll allow another re-use!